Gladys Pinegar Young age 86 of Smithville, passed away Monday night, January 21, 2019 at her residence. She was born November 23, 1932 to her parents, the late Johnny B and O'Fallon Colwell Pinegar. In addition to her parents, she was preceded in death by her husband, Charlie Young; 2 brothers, Jay Loyd and Johnny Pinegar and 2 sisters, Ella "Dean" Vanatta and Louise Hendrixson and a son-in-law, Wayne Herndon. She was a Baptist and a homemaker. 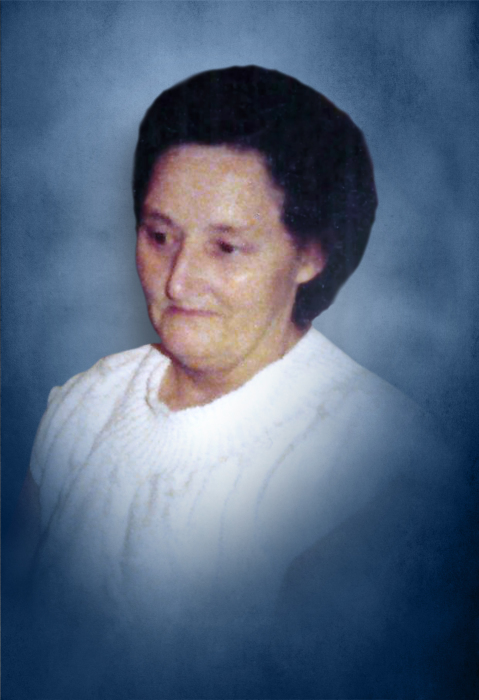 She is survived by 6 children, Sue Herndon of Smithville, Wayne (Gail) Young of Smithville, Carolyn (Matt) Robinson of Murfreesboro, Charles Young and Fiancé Keisha Farless of Smithville, Annette (Gary) Sells of Castalian Springs and Stevie Young of Smithville; 6 grandchildren, David Young, Christopher Robinson, Amanda Young, Brandi Turner, Brandon Herndon, Kayla Gayle Sells; 8 great-grandchildren and several nieces and nephews also survive. Funeral services will be 11:AM Thursday, January 24, 2019 at DeKalb Funeral Chapel with Bro. Michael Hale officiating and burial will follow in Banks Cemetery. Visitation with the family will be on Wednesday 3:PM until 8:PM and Thursday 9:AM until the time of the service at 11:AM. DeKalb Funeral Chapel is in charge of the arrangements.